Local owner and Certified Senior Advisor Dean Ulizio believes it is an honor to be trusted by families to provide patient focused home care for their loved ones. Dean and his compassionate, experienced staff are dedicated to putting clients’ needs first and delivering an exceptional level of service. • BrightStar provides free case management from an experienced RN on all cases, even non-medical ones. All private duty caregivers work under the supervision of a Registered Nurse. 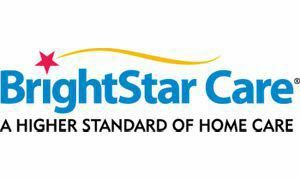 • BrightStar provides a free, no obligation in home assessment by our Director of Nursing as part of putting together a custom care plan tailored to your needs. • 24 hour High Tech Care We specialize in filling the gaps in service when Medicare or Hospice are unable to meet all of your needs. Call to find out how we can customize a plan to work with these other agencies to provide safety and the full spectrum of care. Reach a live member of our team 24/7 at 720-890-777. Call now, we can help!